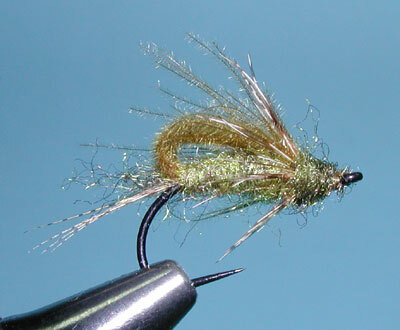 Rene Harrop came up with this pattern as he developed a number of patterns signifying the metamorphic transitions of the caddis from larvae to adult. 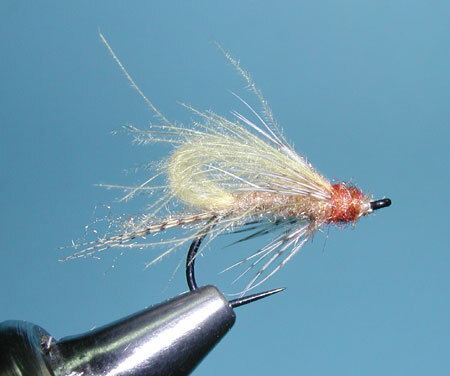 The CDC Bubbleback Caddis Emerger portrays the transition from the pupa stage to an adult where the thoracic area begins to push out from the pupa skin. 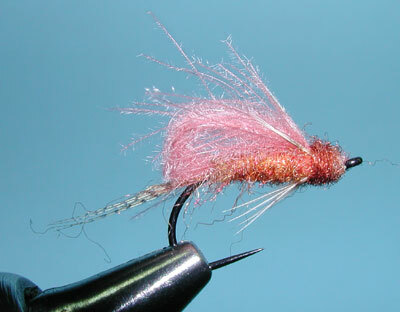 This process only happens for a few seconds but it is something that the trout will recognize and key into. A loop of CDC over the back of the body forms a bubble effect that supports the fly in the correct position in the surface film while duplicating this tempting image. 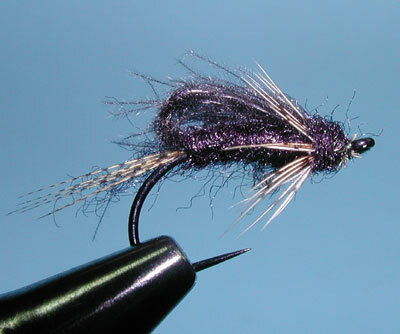 The pattern should be used as a wet fly using an uplifting swing. Bubbles will get trapped within the CDC fibers and provide an enhanced transluency to the pattern as an ascending adult. Adjust the color variations to the hatch. Black caddis will often hatch within stillwater areas near the shoreline of a creek inlet.